Gillian blows up a storm | News by Wales Express News, People Before Profit! 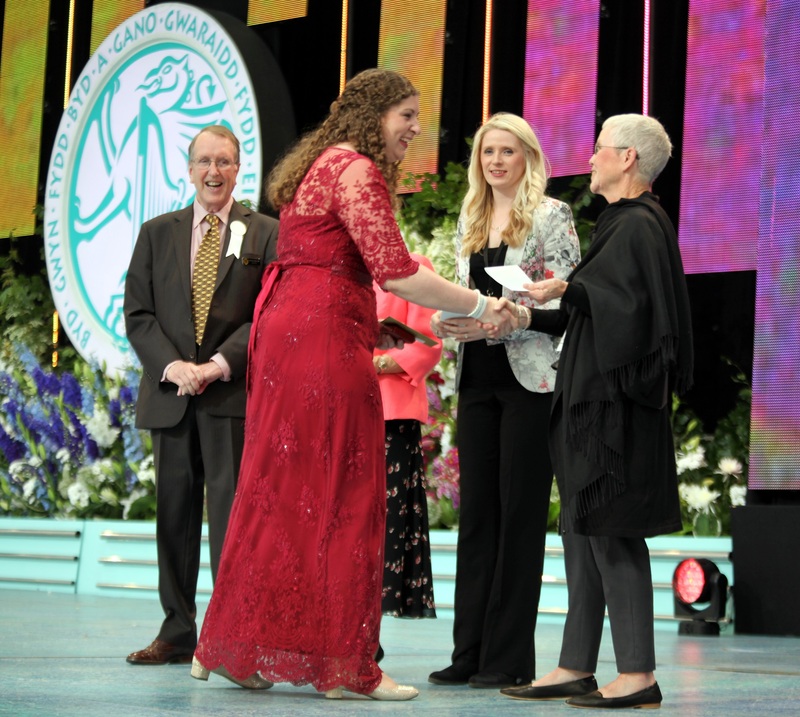 A Heswall student has landed a top award at the Llangollen International Musical Eisteddfod. 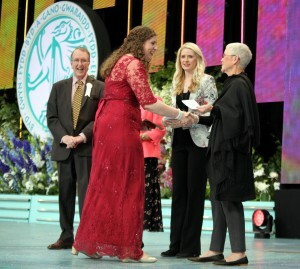 Gillian Blair collects her prize from adjudicators former royal harpist, Claire Jones and right, Maria Helbekkmo of Norway with left, Llangollen International Music Eisteddfod chairman, Gethin Davies. Gillian Blair, 24, who is studying music at Manchester’s Royal Northern College of Music, beat off top competition to win the first ever International Young Musician title and land the £1,500 prize and international medal. The saxophonist, who is the daughter of Wirral vascular surgeon Stephen Blair, who is based at the Spire Murrayfield Hospital, and therapist Christine Blair, played a number of Romanian folk dances on the soprano saxophone before concluding her programme with a sonata by Robert Muczynaski. Speaking after collecting her prize money which she says she intends to use to commission saxophone music so she can produce an album, she said: “I’m delighted to have won what was a tough competition. The standard was excellent yet the other competitors were friendly and everyone was so welcoming. Eilir Owen Griffiths, Musical Director of the Eisteddfod, said: “It’s fantastic to have a saxophonist win this, it’s a special instrument. We had about 20 entries I thought the standard was excellent and Gillian was very, very good. The former West Kirby Grammar School pupil says she took up the saxophone aged nine and fell in love with the instrument.